For the first time in Bella Malone history I'm chatting menswear, and in particular, Ellesse. Lewis and I are always checking out the sportswear section of Urban Outfitters and Ellesse is always at the forefront. Since its launch in 1959, Ellesse uk has become a sporting staple that effortlessly combines its natural Italian flair with classic athletic design. With an illustrious history that chronicles the brands advancement on the tennis courts and on the ski slopes, Ellesse clothing has since developed to become a lynch pin of classic sporting culture. With Ellesse t-shirts delivering an effortlessly sharp homage to the labels turn into becoming a firm urban style favourite, this influential Italian brand is now making waves in the fashion industry some 50 years on after its humble begining. Ellese was started way back in 1959 by the Italian tailor Leonardo Servadio who after realising that the market had a lack of stylish skiwear available. Servadio decided to create his own brand with the aim to merge fashion and sport, this is something that changed fashion as we knew it. Servadio saw sport as a way of life and wanted to create products that were both stylish and practical. In the 70's Ellesse was one of the only sports brands to be seen on the slopes, soon Servadio realised that Ellesse could be the brand another kind of sport, tennis was next. Soon every tennis star was wearing Ellesse. Anyone who was anyone in the 1980s tennis world, from Boris Becker to Guillermo Vilas and Pat Cash, was adorned with the Ellesse logo. Every court from Roland Garros to SW19 sported the logo. Next on the hit list was football just as the casual wear movement in the UK was becoming big. 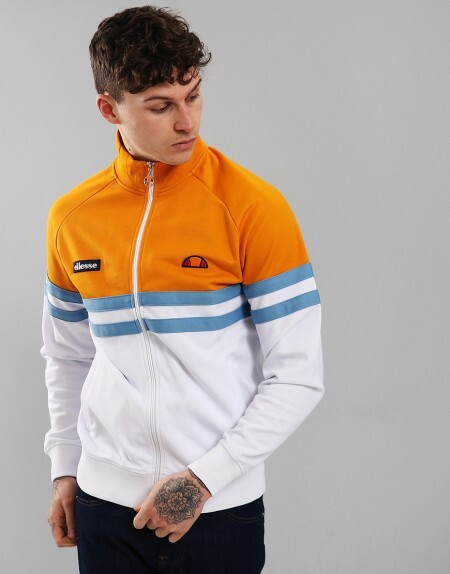 Before long Ellesse was the main player in the casual wear market by combining comfortable, wearable clothing with stylish and contemporary designs. After a few quiet years Ellesse came back with a bang after ASOS announced that they would be stocking the label. The gigantic British fashion shop–one of the biggest in all of Europe—starts selling an exclusive Ellesse collection. This was the start of Ellesse as we know it today, the urban streetwear brand that is sold everywhere from ASOS to Urban outfitters. Ellesse polo shirts, tracksuits and ski jackets are now seen on every high street in the UK. The cult brand that is now in every millennials wardrobe has come a long way from the ski slopes in France. As an organisation, Ellesse has never forgotten Leonardo Servadio’s vision and have stayed loyal to his relentless belief in the marriage of sport and fashion. Over the years Ellesse have worked with a smorgasbord of both sporting and fashion icons, including the likes of Princess Caroline of Monaco, Alain Prost, Ferrari F1, Anna Kournikova and Eley Kishimoto. 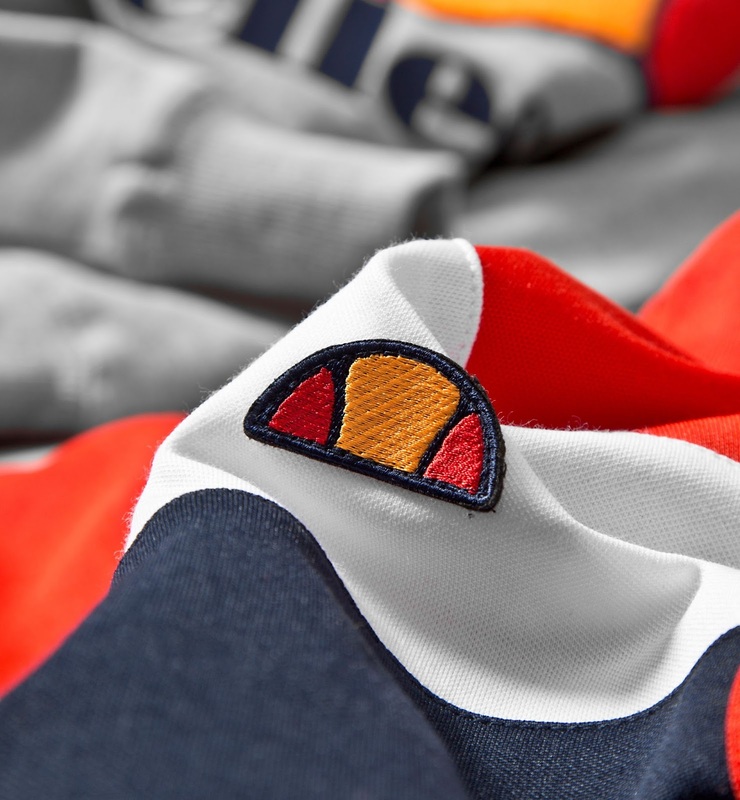 Fast forward to the present day, ellesse still have their passions and heritage at heart, continuing to build upon their legacy but staying true to its founding principles. Whether it’s being as ground-breaking as having their logo on the outside of a shirt (a move, which Ellesse famously championed before any other competing brands) or producing another clean and stylish fashion magazine photo-shoot, Ellesse have adapted to fulfil our needs, whether they be on or off the court. Ellesse is stocked in Terraces Menswear, the Terraces menswear flagship store was opened in 2001, in the Stoke-on-Trent City Centre (Hanley.) Ellesse is stocked alongside many other brands including Farah, Lacoste and Paul Smith. Thanks for a great article! I have read the same type of news here https://nexter.org and I also found a lot of interesting information there.